1.Name listed in “The Contemporary WHO’s WHO” 2002-2003, published by The American Biographical Institute, USA on the basis of merited accomplishment and success in Contemporary Society (2002). 2.Awarded the prestigious title MAN OF THE YEAR-2003, by American Biographical Institute, USA for overall accomplishments and contributions to society (2003). 3.Awarded the title American medal of honour - LIMITED STRIKING-2003, by American Biographical Institute, USA (2003). 4.Name listed in 1st Edition of "MARQUIS WHO's WHO in ASIA", 2007, published by original Who's Who in America (2007). 5.A listee of IBC Leading Engineers of the World – 2007 (2007). 6.Name listed in "2000 Outstanding Intellectuals of the 21st Century", by International Biographical Centre, Cambridge, England (2008). 7.ame listed in the Thirty-Fourth Edition of the Dictionary of International Biography, by International Biographical Centre, Cambridge, England (2008). 8.Awarded "Top 100 Engineers Medal" of 2008 by International Biographical Centre, Cambridge, England (2008). 9.Name listed in 26th edition of "MARQUIS WHO's WHO in the World", 2008 (2008). 10.Name listed in "The Cambridge Blue Book - 2008/9" (2008). 11.Reviewer of International Journal of Power and Energy Systems, New ACTA Press, USA (Since 2008). 12.Reviewer of International Journal of Electrical Power & Energy Systems, Elsevier Science (Since 2009). 15.Reviewer of Journal of Engineering Science and Technology Review (Since 2010). 16.Reviewer of International Journal of Energy Sector Management, Emerald (Since 2010). 17.Reviewer of IEEE Transactions on Systems, Man and Cybernetics, Part-B (Since 2010). 21.Reviewer of European Transactions on Electrical Power, Wiley Publication (Since 2012). 22.Reviewer of Ain Shams Engineering Journal, Elsevier Science (Since 2014). 23.Member of Editorial Board of American Journal of Electrical and Electronics Engineering (Since 2015). 24.Pandit Madan Mohan Malaviya Memorial Award-2000, given by The Institution of Engineers(India), Kolkata for research paper entitled: “Radial Basis Function Network Applied to Economic Generation Scheduling” Published in Journal of the Institution (2000). 25.The Union Ministry of Energy - Department of Power Prize, 2004, given by The Institution of Engineers(India), Kolkata for research paper entitled: “A Neuro-fuzzy based Unified Power Flow Controller for Improvement of Transient Stability Performance”. Published in Journal of the Institution (2004). 26.Reviewer of Journal of Institution of Engineers (India), Electrical Division, Kolkata (2000). 27.Pandit Madan Mohan Malaviya Memorial Award-2008, given by The Institution of Engineers(India), Kolkata for research paper entitled: “Economic Load Dispatching of Generating Units with Multiple Fuel Options”, Published in Journal of the Institution (2008). 28.The Union Ministry of Energy - Department of Power Prize, 2010, given by The Institution of Engineers(India), Kolkata for research paper entitled: “Short-term Generation Scheduling with Take-or-Pay Fuel Contract using an Evolutionary Programming Technique”, Published in Journal of the Institution (2010). 29.State Gold Medal-1998, (Ist prize in Electrical, Electronics & Computer Engineering Division) conferred by Orissa Engineering Congress for research paper entitled: "A New Indicator of the Risk of Voltage Instability" (1998). 30.Rajalaxmi Memorial Best Engineering College Teacher Award for Orissa State - 2002, given by The Indian Society for Technical Education, New Delhi for outstanding contribution to academic and student community (2002). 31.Certificate of Merit-2001, given by The Institution of Engineers(India), Kolkata for research paper entitled: ”Economic Emission Load Dispatch with Line Flow Constraints using Sequential Quadratic Programming”, Published in Journal of the Institution (2001). 32.Certificate of Merit-2003, given by The Institution of Engineers(India), Kolkata for research paper entitled: “Economic Load Scheduling Applying Artificial Neural Networks”, Published in Journal of the Institution (2003). 33.Institution Gold Medal-2012, given by The Institution of Engineers(India), Odisha State Centre, Bhubaneswar for research paper entitled: “Congestion Management through Differential Evolution Based Optimal Rescheduling of Generators”, Published in Journal of the Institution (2012). 34.Institution Gold Medal-2013, given by The Institution of Engineers(India), Odisha State Centre, Bhubaneswar for research paper entitled: “An Auction-based Dispatch Algorithm for Deregulated Power Systems”, Published in Journal of the Institution (2013). 35.Madhusudan Memorial Award-2014, given by The Institution of Engineers(India), Odisha State Centre, Bhubaneswar for research paper entitled: “Energy Conservation through Losses Minimization using UPFC”, Published in Journal of the Institution (2014). 36.Institution Award-2015, given by The Institution of Engineers(India), Odisha State Centre, Bhubaneswar for research paper entitled: “Loss Minimization in Combined Economic Emission Load Dispatch through Fuzzy based Gravitational Search Algorithm”, Published in Journal of the Institution (2015). 37.National Merit Scholarship from 1978 to 1984. 38.QIP Scholarship from MHRD, New Delhi, Govt. of India from 1996 to 1999 for pursuing Ph.D. at Jadavpur University. 40.Vijay Shree Award-2006 along with Certificate of excellence given by India International Friendship Society (IIFS), New Delhi in 2006. 41.Rashtriya Ekata Samman-2009 by Integrated Council for Socio-Economic Progress, Trissur, Kerala, 2009. 42.Rashtriya Gaurav Award-2010 by India International Friendship Society, New Delhi, Jan, 2010. 1.P.K.Hota, R.Chakrabarti, P.K.Chattopadhyay, (1999), “An Integrated Approach to Economic emission Load Dispatching using Neural Network and Goal-attainment Methods”, Electric Machines and Power Systems, Taylor & Francis, Vol.27, No.10, pp.1085-1096. 2.P.K.Hota, R.Chakrabarti, P.K.Chattopadhyay, (2000), “Short-term Hydro-thermal Scheduling through Evolutionary Programming Technique”, Electric Power Systems Research, Elsevier Science, Vol.52, pp.189-196. 3.P.K.Hota, R.Chakrabarti, P.K.Chattopadhyay, (2000), “Economic Emission Load Dispatch through an Interactive Fuzzy Satisfying Method”, Electric Power Systems Research, Elsevier Science, Vol.54(3), pp.151-157. 4.P.K.Hota, R.Chakrabarti, P.K.Chattopadhyay, (2000), “A Simulated Annealing based Goal-attainment Method for Economic Emission Load Dispatch with Non-smooth Fuel Cost and Emission Level Functions”, Electric Machines and Power Systems, Taylor & Francis, Vol.28, No.11, pp.1037-1051. 5.S.Mishra, P.K.Dash, P.K.Hota, M.Tripathy, (2002), "Genetically Optimized Neuro-Fuzzy IPFC for Damping Modal Oscillations of Power System", IEEE Trans. on Power Systems, Vol.17, No.4, pp.1140-1147. 6.P.K.Hota, S.K.Dash, (2004), “Multiobjective Generation Dispatch through a Neuro-Fuzzy technique”, Electric Power Components and Systems, Taylor & Francis, Vol.32, No.11, pp.1191-1206. 7.B.K.Panigrahi, P.K.Hota, S.Dash, (2004), "Power Quality Analysis Using Phase Corrected Wavelet Transform", Iranian Journal of Electrical and Computer Engineering, Vol.3, No.2, SUMMER-FALL, pp.151-155. 8.P.K.Hota, A.K.Barisal, R.Chakrabarti, (2009), “An Improved PSO Technique for Short-term Optimal Hydrothermal Scheduling”, Electric Power Systems Research, Elsevier Science, Vol.79, pp.1047-1053. 9.A.K.Barisal, S.R.Samantaray, P.K.Hota, R.Chakrabarti, (2009), “Fuzzy based Intelligent Algorithm for Multiobjective Electric Power Dispatch”, International Journal of Power System Optimization and Control (Scopus), Vol.1, No.1, pp.9-15. 10.A.K.Barisal, P.K.Hota, R.Chakrabarti, (2009), “Practical Economic Load Dispatch by Bacterial Foraging Approach”, International Journal of Power System Optimization and Control (Scopus), Vol.1, No.1, pp.17-25. 11.P.K.Hota, A.K.Barisal, R.Chakrabarti, (2010), “Economic Emission Load Dispatch through Fuzzy based Bacterial Foraging Algorithm”, International Journal of Electric Power and Energy Systems, Elsevier Science, Vol.32, pp.794-803. 12.T.K.Panigrahi, P.K.Dash, P.K.Hota, (2010), "A Self-tuning Optimized Unscented Kalman Filter for Voltage Flicker and Harmonic Estimation", International Journal of Power and Energy Conversion (Scopus), Inder-Science, Vol.2, No.3, pp.250-278. 13.R.K.Swain, A.K.Barisal, P.K.Hota, R.Chakrabarti, (2011), "Short-term Hydrothermal Scheduling using Clonal Selection Algorithm", International Journal of Electric Power and Energy Systems, Elsevier Science, Vol.33, No.3, pp.647-656. 14.P.K.Hota, Banaja Mohanty, (2011), “Overload Alleviation And Determination of Cost of Rescheduling in an Open Acess Power System”, Special Issue of International Journal of Power System Operation and Energy Management, Vo.1, No.3, pp.25-29. 15.P.K.Gouda, A.K.Sahoo, P.K.Hota, (2012), “Modeling and Simulation of UPFC using PSCAD/EMTDC”, International Journal of Physical Sciences, Vol.7 (45), pp.5965-5980. 16.R.K.Swain, N.C.Sahu, P.K.Hota, (2012), “Gravitational Search Algorithm for Optimal Economic Dispatch”, Procedia Technology, Elsevier SciVerse Science Direct, Vol.6 pp.411-419. 17.S.K.Khadualo, A.K.Barisal, P.K.Hota, (2013), “Scheduling of pumped storage hydrothermal system with evolutionary programming”, Journal of Clean Energy Technologies, IACSIT Press, Vol.1, No.4, pp.308-312. 18.B.Panda, Bhagabat Panda, P.K.Hota, (2013), “Smart Grid Hybrid Generation System”, International Journal of Emerging Trends in Electrical and Electronics (IJETEE), Vo.2, No.4, pp.68-73. 19.Banaja Mohanty, S.Panda, P.K.Hota, (2013), “Hybrid BFOA-PSO Algorithm for automatic generation control of linear and nonlinear interconnected power systems”, International Journal of Applied Soft Computing, Elsevier Science, Vol.13(12), pp. 4718-4730. 20.B.Mohanty, P.K. Hota, (2014), “Particle swarm optimized automatic generation control of hydro thermal system with nonlinearities”, International Journal of Power System Optimization and Control (Scopus), Serial Publications, pp.34-40. 21.Banaja Mohanty, S.Panda, P.K.Hota, (2014), “Controller parameters tuning of differential evolution algorithm and its application to load frequency control of multi-source power system”,International Journal of Electrical Power and Energy Systems, Elsevier Science, Vol.54, pp.77-84. 22.P.K.Gouda, P.K.Hota, K. Chandrasekar, (2014), “Imperialist Competitive Algorithm for Optimal Sizing and Placement of Static and Dynamic VAR Devices to Minimize Transmission Power Loss”, International Journal of Engineering & Technology (Scopus), Vol.6, No.1, Feb-Mar, pp.333-342. 23.B.Mohanty, P.K.Hota, (2014), “Load Frequency Control of Non-linear Interconnected Hydro-thermal System using Differential Evolution Technique”, International Journal of Electrical, Computer, Electronics and Communication Engineering, World Academy of Science, Engineering & Technology, Vol.8, No.2, pp.449-456. 24.B.Mohanty, P.K.Hota, (2014), “Particle Swarm Optimization based Interconnected Hydro-Thermal AGC System considering GRC and TCPS”, International Journal of Electrical, Computer, Electronics and Communication Engineering, World Academy of Science, Engineering & Technology, Vol.8, No.7, pp.1157-1163. 25.B.Mohanty, S.Panda, P.K.Hota, (2014), “Differential Evolution Algorithm based Automatic Generation Control for Interconnected Power Systems with Non-linearity”, Alexandria Engg. Journal, Elsevier Science, Vol.53, pp.537-552. 26.P.K.Hota, A.K.Nanda, (2014), “Modeling and Simulation of Unified Power Quality Conditioner for Power Quality Improvement”, International Journal of Applied Engineering and Technology, Centre for Info Bio Technology (CIBTech), Vol.4(4), October-December, pp.79-89. 27.P.K.Gouda, A.K.Sahoo, P.K.Hota, (2015), “Optimal Power Flow including Unified Power Flow Controller in a Deregulated Environment”, International Journal of Applied Engineering Research (Scopus), Vol.10, No.1, pp.505-322. 28.P.K.Gouda, P.K.Hota, (2015), “Impact of FACTS Devices in Optimal Generation in Deregulated Power System”, International Journal of Applied Engineering Research (Scopus), Vol.10, No.36, pp.27847-27854. 29.P.K.Hota, N.C.Sahu, (2015), “Security Constrained Economic Environmental Dispatch through Fuzzy based Gravitational Search Algorithm”, American Journal of Electrical and Electronics Engineering, DOI: 10.12691/ajeee-3-2-4, Vol.3, No.2, pp.44-50. 31.B.Mohanty, P.K.Hota (2015), “Comparative Performance Analysis of Fruit Fly Optimization Algorithm for Multi-Area Multi-Source AGC under Deregulated Environment”, Paper accepted for publication in IET Generation, Transmission and Distribution (Paper ID: GTD-2015-0284.R1). 32.P.K.Hota, B.Mohanty (2015), “Automatic Generation Control of Multi-Source Power Generation under Deregulated Environment”, Paper accepted for publication in International Journal of Electrical Power and Energy Systems (Elsevier Science) (Paper ID: IJEPES-D-14-00095). 1.P.K.Hota, S.Mishra, A.K.Pradhan, (1997), “Prediction of rotor angle variations using Neural Network”, Journal of Electrical Division of Institution of Engineers (India), Vol.77, pp.220-223. 2.A.K.Pradhan, S.Mishra, P.K.Hota, (1998), “ANN based indicator of the risk of voltage instability”, Journal of Electrical Division of Institution of Engineers (India), Vol.79, pp.146-149. 3.S.Mishra, A.K.Pradhan, P.K.Hota, (2000), “Development and Implementation of a fuzzy logic based constant speed D.C. Drive”, Journal of Electrical Division of Institution of Engineers (India), Vol.81, pp.10-13. 4.P.K.Hota, R.Chakrabarti, P.Guha, (2002), ”Economic Load Scheduling applying Artificial Neural Networks”, Journal of Electrical Division of Institution of Engineers (India), Vol.83, pp.8-12. 5.P.K.Hota, R.Chakrabarti, P.K.Chattopadhyay, (1999), “Radial Basis Function Network applied to Economic Generation Scheduling”, Journal of Institution of Engineers (India), pt.EL, Vol.80, pp.31-35. 6.P.K.Hota, R.Chakrabarti, P.K.Chattopadhyay, (1999), “A Fuzzy-set based Optimization Technique for Economic Emission Load Dispatch”, Journal of Institution of Engineers (India), pt.EL, Vol.80, pp.99-103. 7.P.K.Hota, R.Chakrabarti, P.K.Chattopadhyay, (2000), “Economic Emission Load Dispatch with Line Flow Constraints using a Sequential Quadratic Programming Technique”, Journal of Institution of Engineers (India), pt.EL, Vol.81, pp.21-25. 8.P.K.Hota, R.Chakrabarti, P.K.Chattopadhyay, (2000), “Comparison of ANN models for Economic Load Dispatch”, Journal of Institution of Engineers (India), pt.EL, Vol. 81, pp.49-53. 9.P.K.Hota, R.Chakrabarti, P.K.Chattopadhyay, (2001), “Multiobjective Generation Dispatch using Goal-attainment Method”, Journal of Institution of Engineers (India), pt.EL, Vol. 82, pp.122-127. 10.S.Mishra, P.K.Hota, P.K.Mohanty, (2003), “Design of an Intelligent UPFC for Improving Transient Stability Performance”, Journal of Institution of Engineers (India), pt.EL, Vol.84, pp.148-153. 11.P.K.Hota, S.K.Dash, (2007), “Economic Load Dispatching of Generating Units with Multiple Fuel Options”, Journal of Institution of Engineers (India), pt.EL, Vol.88, pp. 22-28. 12.P.K.Hota, S.K.Dash, (2008), “Optimal Generation Dispatch of a Gas-fired Steam Plant with Take-or-Pay Fuel Contract”, Journal of Institution of Engineers (India), pt.EL, Vol.89, pp.17-21. 13.A.K.Barisal, P.K.Hota, R.Chakrabarti, (2008), “Dynamic Search Space Squeezing Technique for Large Scale Optimal Load Dispatch”, Journal of Institution of Engineers (India), pt.EL, Vol.89, pp.1-6. 14.A.K.Barisal, P.K.Hota, R.Chakrabarti, (2009), “Large Scale Economic Load Dispatch by Clonal Selection Algorithm ”, Journal of Institution of Engineers (India), pt.EL, Vol.90, pp.26-32. 15.A.K.Barisal, P.K.Hota, S.K.Dash, (2009), “Short-term Generation Scheduling with Take-or-Pay Fuel Contract using an Evolutionary Programming Technique”, Journal of Institution of Engineers (India), pt.EL, Vol.90, pp.46-51. 16.P.K.Hota, A.K.Barisal, R.Chakrabarti, (2009), “An Artificial Neural Network Method for Optimal Generation Dispatch with Multiple Fuel Options”, Journal of Institution of Engineers (India), pt.EL, Vol.90, pp.3-10. 17.P.K.Hota, B.Mohanty, (2012), “Congestion management through differential evolution based optimal rescheduling of generators”, Technical Annual Journal of Institution of Engineers (India), Odisha State Centre, 53rd Annual Technical Session, pp.339-346. 18.P.K.Hota, B.Mohanty, (2013), “An Auction-based Dispatch Algorithm for Deregulated Power Systems”, Technical Annual Journal of Institution of Engineers (India), Odisha State Centre, 54th Annual Technical Session, pp.181-188. 19.P.K.Hota, B.Mohanty, (2013), “Bacterialforagingoptimizationalgorithmbasedinterconnectedhydro-thermalAGCsystemwithGRCand TCPS” Vertex-13, Odisha Engineers’ Forum, India, pp.26-32. 20.P.K.Hota, G.Nayak, (2014), “Energy Conservation through losses minimization using UPFC”, Technical Annual Journal of Institution of Engineers (India), Odisha State Centre, 55th Annual Technical Session, pp.145-152. 21.P.K.Hota, N.C.sahu, (2015), “Loss Minimization in Combined Economic Emission Load Dispatch through Fuzzy based Gravitational Search Algorithm”, Technical Annual Journal of Institution of Engineers (India), Odisha State Centre, 56th Annual Technical Session, pp.204-212. 1.P.K.Hota, (1993), “A Rom-based Digital Meter for Measurement of Slip”, Proceedings of National Symposium on Systems, Madras, pp.85-89. 2.P.K.Hota, S.Das, B.K.Panigrahi, (1994), “A Simple Digital Torque Angle Transducer using a Phase Locked Loop”, Proceedings of National Symposium on Energy, System Management and Control, Hyderabad, pp.I-50 –I-53. 3.P.K.Hota, N.G.P.C.Mahalik, (1994), “A Frequency Independent Rom-based Digital Meter for Measurement of Dissipation Factor”, Proceedings of 4th IEEE International Conference on Properties and Applications of Dielectric Materials (ICPADM-94), Brisbane, Australia, pp.690-692. 4.P.K.Hota, (1994), “Design and Implementation of a Microprocessor based Instrumentation System for Measurement of Dissipation Factor”, Proceedings of IEEE Seminar on Microprocessor Applications in Industrial Instrumentation System, Bhubaneswar, pp.89-96. 5.P.K.Hota, S.Mishra, A.K.Pradhan, (1995), ”Neural Network as power system static state estimator”, Proceedings of International Conference on automation (ICAUTO-95), Indore, pp.453-456. 6.P.K.Hota, A.K.Pradhan, S.Mishra, D.Rath(1996), ”Computation of Optimum Economic schedule of a Gas-fired steam plant using artificial Neural Network”, Proceedings of International Seminar on Grid Stability and Load Management (GRIDSAFE-1995), IE(I), Nagpur, India, pp.208-210. 7.P.K.Hota, S.Mishra, A.K.Pradhan, S.K.Parida, (1996),“Artificial Neural Network for Optimum Generation Scheduling of Thermal Units”, Proceedings of International Seminar on Grid Stability and Load Management (GRIDSAFE-1995), IE(I), Nagpur, India, pp.211-214. 8.P.K.Hota, A.K.Pradhan, S.Mishra, (1996),“Development of a Neural-Network Based Predictor for fast swing stability”, Proceeding of 9th National Power System Conference (NPSC-1996), I.I.T. Kanpur, pp.67-70. 9.P.K.Hota, (1997), “Multistage Dynamic Braking of Induction Motor: Capacitor excitation approach”, IDCOTS, Kathmandu, Nepal, pp.173-176. 10.P.K.Hota, R.Chakrabarti, P.K.Chattopadhyay, (1998), “Optimal Dispatch of a Gas-fired Steam Plant through a Sequential Quadratic Programming Technique”, Proceedings of All India Seminar on Electric Energy System Management-Indian Scenario, Roorkee, pp.33-37. 11.B.K.Panigrahi, P.K.Hota, (2001), ”Interactive Learning of Electrical Engg. through Computer Tools”, Proceedings of National ISTE Convention, ITER, Bhubaneswar, pp.37-41. 12.S.Mishra, P.K.Hota, K.Vijaykumar, B.K.Panigrahi (2001),“A Hybrid ANN Controller for UPFC”, Proceedings of IEEE ACE-2001: 27th Annual Convention and Exhibition of IEEE India Council, New Delhi, pp.107-112. 13.B.K.Panigrahi, S.Mishra, P.K.Dash, P.K.Hota, (2001), “Enhancement of Power System Performance using STATCOM”, Proceedings of IEEE ACE-2001: 27th Annual Convention and Exhibition of IEEE India Council, New Delhi, pp.113-119. 14.S.Mishra, P.K.Hota, R.Mallick, (2001), “Design of a Soft Computing based UPFC for improving Transient Stability Performance”, Proceedings of International Conference On Energy, Automation and Information Technology (EAIT-2001), I.I.T., Kharagpur, pp.137-141. 15.P.K.Hota, (2001), “Power Quality Awareness”, Proceedings of seminar on Power Quality Issues, Burla, pp.43-45. 16.S.Mishra, P.K.Hota, P.K.Mohanty, (2002), “An intelligent IPFC for enhancing damping of multimodal oscillations in Power System”, Proceedings of National Power Systems Conference (NPSC-2002), IIT, Kharagpur, pp.140-144. 17.S.Mishra, P.K.Hota, P.K.Mohanty, (2002), “Design of an intelligent UPFC for improving transient stability performance”, Proceedings of 47th Annual Session of Orissa Engg. Congress, Bhubaneswar, pp.EECS-72 to EECS-83. 18.P.K.Hota, S.Mishra (2002), “Radial basis function network applied to energy management system”, Proceedings of 2nd National seminar on Business Process Re-Engineering using Information Technology, Burla, pp.55-58. 19.S.Mishra, P.K.Hota, (2002), “An intelligent UPFC for improving transient stability performance”, Proceedings of 2nd National seminar on Business Process Re-Engineering using Information Technology, Burla, pp.63-70. 20.P.K.Hota, (2004), “Environmental Marginal Cost Evaluation for Optimal Power Dispatching Through Fuzzy-Set Theory”, Proceedings of International Conference on Power Systems, Kathmandu University, Nepal, pp.37-43. 21.P.K.Hota, B.K.Panigrahi, (2004), ”Understanding Microcontroller and Interfacing of LCD to 8051”, Proceedings of National Seminar on Challenges and Trends in Microprocessor and Microcontroller Applications, Synergy Institute of Engineering & Technology, Dhenkanal, pp.9-18. 22.P.K.Hota, (2005), ”Restructuring of Electricity Power Industry and Deregulation”, Proceedings of National Workshop on Recent Trends in Power Systems, Bhilai Institute of Technology, Durg (CG), pp.6-18. 23.P.K.Hota, S.K.Dash, (2005), ”Short-term Generation Scheduling with Take-or-Pay Fuel Contract”, Proceedings of National Workshop on Recent Trends in Power Systems, Bhilai Institute of Technology, Durg (CG), pp.19-25. 24.P.K.Hota, S.K.Dash, (2005),“Optimal Generation Dispatch with Multiple Fuel Options”, Proceedings of National Workshop on Recent Trends in Power Systems, Bhilai Institute of Technology, Durg (CG), pp.26-36. 25.P.K.Hota, (2006), “Power Quality: Issues, Assessment and Modern Trends”, Proceedings of National Seminar on Power Quality Benefits and Constraints, NM Institute of Engineering Technology, Bhubaneswar, pp.17-24. 26.P.K.Hota, P.K.Modi, (2006), ”Auto-configuring Superfast Artificial Neural Network Applied to Energy Management System”, Proceedings of All India Seminar on Advances in Industrial Automation, Organized by IE(India), Angul, Orissa, pp.161-163. 27.P.K.Hota, R.K.Swain, R.Chakrabarti, (2006), ”An Auction based Dispatch Algorithm for Deregulated Power Systems using Soft Computing Technique”, Proceedings of National Conference on Recent Trends in Emerging Technology RTET-2006, Kolkata, pp.15-20. 28.R.K.Swain, P.K.Hota, R.Chakrabart, (2007), “Large Scale Economic Dispatch by Bacterial Foraging Algorithm”, Proceedings of XXXI National System Conference (NSC-2007) on Emerging Trends in Intelligent System Design & Analysis, Manipal Institute of Technology, Manipal, Paper ID:P-97. 29.A.K.Barisal, H.S.Behera, P.K.Hota, (2008), “Improved Particle Swarm Optimization Technique for Economic Load Dispatch”, Technical Journal of 1st National Conference on Recent Trends in Soft Computing, SYNSOFT-2008, Synergy Institute of Engineering & Technology, Dhenkanal, Orissa, pp.4-8. 30.A.K.Barisal, P.K.Hota, (2008), “Economic Load Dispatch by Modified Bacterial Foraging Algorithm”, Proceedings of International System Conference (PSACO-2008) on Power System Analysis, Control and Optimization, Andhra University, Visakhapatnam, pp.80-86. 31.R.K.Swain, A.K.Nayak P.K.Hota, R.Chakrabarti, (2008), “Binary Coded Clonal Selection based Economic Load Dispatch with Non-smooth Cost Functions”, Proceedings of IEEE National Conference on Application of Intelligent Systems (AIS-2008), Sonepat, pp.49-53. 32.P.K.Hota, (2008), “An Improved PSO for Optimal Generation Dispatch with Multiple Fuel Options”, Proceedings of National Conference on Automation in Instrumentation & Control Systems: Recent Perspectives & Strategies, BITCON-2008, BIT, Durg, pp.48-52. 33.R.K.Swain, P.K.Hota, R.Chakrabarti, (2008), “An Auction Based Dispatch Algorithm for Deregulated Power System using Differential Evolution Technique”, Proceedings of 15th National Power Systems Conference, IIT, Mumbai, pp.201-207. 34.P.K.Hota, (2009), “Environmental/Economic Power Dispatch using Bacterial Foraging Algorithm”, Proceedings of NCACI, SIT, Bhubaneswar, pp.1-6. 35.A.K.Barisal, P.K.Hota, (2009), “Economic Emission Load Dispatch through Fuzzy-based Modified PSO Algorithm”, Proceedings of International Conference on Electrical Energy Systems and Power Electronics in Emerging Economies (ICEESPEEE-2009), SRM University, Chennai, pp.145-151. 36.R.K.Swain, P.K.Hota, (2009), “Clonal Selection Technique for Auction-based Dispatch Problem in Deregulated Power Systems”, Proceedings of IEEE International Advance Computing Conference (IACC-2009), Patiala, pp.1034-1039. 37.R.K.Swain, P.K.Hota, (2009), “Clonal Selection Technique for Dynamic Economic Dispatch in a Deregulated Power System”, Proceedings of 3rd International Conference on Power Systems (ICPS-2009), IIT, Kharagpur, Paper ID:107. 38.A.K.Barisal, P.K.Hota, (2009), “Environmental/Economic Power Dispatch using Intelligent Algorithm”, Proceedings of 7th International R&D Conference on Development and Management of Water and Energy Resources, Bhubaneswar, pp.22-27. 39.P.K.Hota, (2009), “Differential Evolution Algorithm and its Applications to Economic Load Dispatch”, Proceedings of the National Conference on Power System Stability, PIET, Rourkela, pp.7-13. 40.P.K.Hota, (2009), “Congestion Management using Rescheduling of Generators”, Proceedings of National Conference on Advances on Renewable Energy Resources and its Applications (ARESA-09), CEB, Bhubaneswar, pp.14-21. 41.P.K.Hota, (2009), “Distributed Generations (Micro-turbines and Fuel Cells) and its Applications”, Proceedings of the National Conference on Future Perspective of Renewable Energy Sources, KIIT University, Bhubaneswar, pp.1-6. 42.P.K.Hota, (2011), “Congestion Management through Differential Evolution based Optimal Rescheduling of Generators”, Proceedings of the National Seminar on Recent Trends in Optimization & Overcoming Global Power Crisis, GITA, Bhubaneswar, pp.1-8. 43.A.K.Barisal, P.K.Hota, (2011), “An Evolutionary Programming based Neuro-fuzzy Technique for Multi-objective Generation Dispatch”, Proceedings of IEEE International Conference on Energy, Automation and Signal (ICEAS-2011), SOA University, Bhubaneswar, pp.1-6. 44.T.K.Panigrahi, P.K.Hota, (2012), “Power Quality Enhancement of a Grid Connected Micro-turbine Generator using PI-Controller and Capacitor Bank”, Proceedings of the 4th International Conference on Sustainable Energy Environment (SEE-2011): A Paradigm Shift to Low Carbon Society, Bangkok, Thailand, Paper ID: C-207. 45.P.K.Hota, (2012), “Heuristic Algorithms and their Applications to Electric Power Systems”, Proceedings of the National Workshop on Emerging Techniques in Power Systems, SMIT, Berhampur, pp.52-57. 46.P.K.Hota, (2012), “An Auction based dispatch Algorithm for Deregulated Power Systems”, Proceedings of the National Seminar on Renewable Energy Sources to Meet the Present Power Crisis, AIET, Bhubaneswar, pp.13-20. 47.P.K.Hota, (2012), “Distributed Generations”, Proceedings of the National Seminar on Power Electronics and Energy Systems (NSPEES-1012), GIET, Bhabaneswar, pp.9-16. 48.R.K.Swain, N.C.Sahu, P.K.Hota, (2011), “Gravitational Search Algorithm for Optimal Economic Dispatch”, Proceedings of 2nd International Conference on Communication, Computing and Security (ICCCS-2012), NIT, Rourkela, pp.411-419. 49.A.K.Barisal, N.C.Sahu, R.C.Prusty, P.K.Hota, (2012), “Short-term Hydrothermal Scheduling using Gravitational Search Algorithm”, Proceedings of the IEEE 2nd International Conference on Power, Control and Embedded Systems (ICPCES), NIT, Allahabad, pp.1-6. 50.B.Mohanty, P.K.Hota, (2012), “AGC Tuning of an Interconnected Power System after Deregulation using PSO”, Proceedings of the National Conference on Recent Advances in Modern Power Systems (RAMPS-2012), VSSUT, Burla, pp.6-11. 51.A.K.Barisal, P.K.Hota, (2013), “Grid Connected Hybrid Generation System”, Proceedings of the National Conference on Recent Advances in Modern Power Systems (RAMPS-2012), VSSUT, Burla, pp.44-46. 52.P.K.Gouda, P.K.Hota, K.Chandrasekar, (2013), “Economic Load Dispatch Optimization in Power System with Renewable Energy using Differential Evolution Algorithm”, Proceedings of the CSIR sponsored National Conference on Advances in Electrical Energy Applications (AEEA-2013), Thiruvallur, Tamil Nadu, pp.155-161. 53.S.Khadualo, A.K.Barisal, P.K.Hota, (2013), “Scheduling of pumped storage hydrothermal system with evolutionary programming”, Proceedings of the 2nd International Conference on Informatics, Environment, Energy and Applications (IEEA-2013), Bali, Indonesia, pp.308-312. 54.P.K.Hota, G.R.Biswal, (2014), “Simulation and Analysis of Power Transformer winding Faults through V-I Locus Diagram”, Proceedings of National Conference on Power, Energy, and Control (NCPEC-2014), DRIEMS, Cuttack, pp.1-6. 55.P.K.Hota, G.Nayak, (2014), “Loadability Enhancement and Losses Minimization using UPFC through PSAT Software”, Proceedings of National Conference on Power, Energy, and Control (NCPEC-2014), DRIEMS, Cuttack, pp.38-43. 56.B.Mohanty, P.K.Hota, A.Paikray, (2014), “Performance Evaluation of Differential Evolution Algorithm on Automatic Generation Control”, Proceedings of IEEE International Conference Circuit, Power and Computing Technologies (ICCPCT-2014), Kumaracoil, Tamil Nadu, pp.763-768. 57.A.Sahoo, P.K.Hota, (2014), “Strategic Bidding and Financial Risk Assessment using PSO in Electricity Market”, Proceedings of TEQIP-II, Govt. of India Sponsored National Conference on Recent Advances and Innovations in Electrical Engineering (RAIEE-2014), VSSUT, Burla, pp. 1-5. 58.S.Samal, P.K.Hota, P.K.Barik, (2014), “Comparative Analysis of MPPT Algorithms for Maximum Power Extraction from PV Systems”, Proceedings of TEQIP-II, Govt. of India Sponsored National Conference on Recent Advances and Innovations in Electrical Engineering (RAIEE-2014), VSSUT, Burla, pp. 18-23. 59.G.Nayak, P.K.Hota, (2014), ”Optimal Location of UPFC based on Voltage Stability Index”, Proceedings of TEQIP-II, Govt. of India Sponsored National Conference on Recent Advances and Innovations in Electrical Engineering (RAIEE-2014), 6-7, VSSUT, Burla, pp.77-81. 60.N.C.Sahu, P.K.Hota, (2014), “Application of Hybrid DEPSO Algorithm for Short-term Hydrothermal Scheduling”, Proceedings of TEQIP-II, Govt. of India Sponsored National Conference on Recent Advances and Innovations in Electrical Engineering (RAIEE-2014), VSSUT, Burla, pp.124-128. 61.A.Dash, P.K.Hota, (2014), “Fault Ride through by Injecting Negative Sequence Current during Unbalanced Grid”, Proceedings of TEQIP-II, Govt. of India Sponsored National Conference on Recent Advances and Innovations in Electrical Engineering (RAIEE-2014), VSSUT, Burla, pp.228-231. 62.P.K.Ray, P.K.Mohanty, P.K.Hota, (2014), “Fuzzy Logic and Fuel Cell Based compensation in a Hybrid Power System”, Proceedings of TEQIP-II, Govt. of India Sponsored National Conference on Recent Advances and Innovations in Electrical Engineering (RAIEE-2014), VSSUT, Burla, pp.258-262. 63.G.R.Biswal, P.K.Hota, (2014), “V-I Locus Technique to Detect Winding Faults of Power Transformer”, Proceedings of TEQIP-II, Govt. of India Sponsored National Conference on Recent Advances and Innovations in Electrical Engineering (RAIEE-2014), VSSUT, Burla, pp.293-297. 64.P.K.Hota, N.C.Sahu, A.K.Barisal, (2014), “Fuzzy based Gravitational Search Algorithm for Economic Emission Load Dispatch”, Proceedings of IEEE Sponsored National Conference on Electrical and Electronics Engineering (NCEEE-2014), Bangalore, Paper ID: 356. 65.P.K.Hota, (2014), “Power System Restructuring & Deregulation as a Power Engineering Course”, Proceedings of Two days National Workshop on Technovision-2020, Bhubaneswar, pp.28-33. 66.P.K.Hota, (2014), “Power System Deregulation-As a power Engineering Course”, Proceedings of TEQIP-II Sponsored National Seminar on Grid Management, CET, Bhubaneswar, pp.8-15. 67.B.Panda, A.Sarkar, B.Panda, P.K.Hota, (2015), “A comparative Study of PI and Fuzzy Controllers for Solar Powered DC-DC Boost Converter”, Proceedings of IEEE International Conference on Computational Intelligence and Networks (CINE), 2015, Bhubaneswar, pp.47-51. 68.A.K.Nanda, S.Samal, P.K.Hota, (2015), “Mitigation of Power Quality Issues by Unified Power Quality Conditioner Design with PI and Fuzzy Controller”, Proceedings of TEQIP-II Sponsored National Conference on Recent Advances in Renewable Energy and Control (RAREC-2015), VSSUT, Burla, pp.26-31. 1. AICTE sponsored two-week short-term Training Programme on “Intelligent Systems & Their Applications to Modern Power Networks”, May 14th to May 26th, 2001. 2.National Seminar on ”Power Quality Issues and its Applications”, 9th February, 2002 sponsored by Industries Department, Govt. of Orissa. 3. AICTE sponsored two-week short-term Training Programme on “Architecture, Programming and Applications of Advanced Microprocessors and Microcontrollers”, March 15th to March 27th, 2004. 4. National Conference on “Recent Advances and Innovations in Electrical Engineering (RAIEE-2014)” Sponsored by TEQIP-II, MHRD, Govt. of India, 6th-7th, April, 2014. 1. Currently, Dean of Center for Distance and Continuing Education (CDCE), VSSUT, Burla. 2. Currently, Co-ordinator, QIP Centre, VSSUT, Burla. 3. Currently, Nodal Officer, Academic Activities, TEQIP-II, VSSUT, Burla. 4. Currently, Chairman, Skill Development Programme, VSSUT, Burla. 5. Currently, Professor Incharge, MOU Work of University. 6. Dean of Sponsored Research & Industrial Consultancy (SRIC) and Continuing Education Programme (CEP), VSSUT, Burla from Aug., 2014- July,2015. 7. Dean of Students Welfare, VSSUT, Burla from July,2009 to August,2011. 8. Professor Incharge, 1st, 2nd and 3rd Convocation, 2010-2011. 9. Member, Academic Council, VSSUT, Burla (2010-2011) and (2014-2015). 10. Member, Board of Management, VSSUT, Burla (2010-2011). 11. Head of Dept. Electrical Engineering, UCE, Burla from August, 2001 to August,2003. 12. Professor & Head of Training & Placement Department, UCE, Burla from January, 2006 to January, 2009. 13. Prof. In-charge, Central Computer Facility, UCE, Burla from August, 2003 to August, 2005. 14. Prof. In-charge, Central Internet Facility, UCE, Burla from July, 2004 to July, 2008. 15. Coordinator, MCA Programme, UCE, Burla from July, 2004 to July, 2006. 16. Dean, Students’ Affair (in-Charge), UCE, Burla from April, 2006 to August, 2006. 17. Superintendent, East Hostel, UCE, Burla from September, 1999 to August, 2001. 18. Superintendent, Ladies Hostel, UCE, Burla from October, 2003 to October, 2005. 19. Chairman, Board of Study, Electrical Engg., UCE, Burla from August, 2001 to August, 2003. 20. Chairman, BOS in MCA, UCE, Burla from July, 2004 to July, 2006. 21. Member, Academic Committee, UCE, Burla, 1999. 22. Chairman, Electrical Maintenance Committee, UCE, Burla from July, 2002 to July, 2004. 23. Vice-President, Students’ Cultural Association, UCE, Burla (2004). 24. Vice-President, Galaxy-06, UCE, Burla (2006). 25. Vice-President, Students’ Dramatic Association, UCE, Burla (2008). 26. Secretary, Teachers Association of UCE, Burla (2002). 27. President, Teachers Association of UCE, Burla (2006). 1.Vice-chairman, Examination Sub-Committee, Joint Entrance Examination, Orissa State (Engg.& Medical)-2002. 2.Chairman, Joint Entrance Examination-2007, Orissa. 3.First Principal, Parala Maharaja Engineering College, Berhampur, A constituent College of Biju Patnaik University of Technology (BPUT), Odisha, 2009. 4.Principal of College of Engineering and Technology, Bhubaneswar, A constituent College of Biju Patnaik University of Technology, Odisha, from 11.8.2011 to 10.8.2013. 5.Dean, Faculty of Engineering, BPUT, Odisha from 2011 to 2013. 6.Dean, Faculty of Architecture, BPUT, Odisha from 2011 to 2013. 7.Vice-Chairman, Examination Committee, State Council for Technical and Vocational Education, Odisha, 2011-2013. 8.Member, Academic Council, BPUT, Odisha (2011-2013). 9.Member, Board of Management, BPUT, Odisha (2011-2013). 10.Member, Executive Council of Sambalpur University Institute of Information Technology, Sambalpur University (2008-2011). 11.Member, Combined Board of Studies (Engg. Stream), Biju Patnaik University of Technology, Odisha, 2009-2010. 12.Member, DSC (Engg. Stream), Biju Patnaik University of Technology, Odisha, 2009-2010. 14.Member, Research Committee of University (RCU) of Biju Patnaik University of Technology, Odisha, 2008-2010. 15.Member, Board of Study in Engg., Sambalpur University, Burla, (2001-2003). 16.Member, Board of Study in M.Sc. Computer Science, M.C.A , Sambalpur University, Burla (2005-2007). 17.Member, Academic Council, Sambalpur University, Burla (2002-2004). 18.Member, Admission Sub-Committee, Joint Entrance Examination, Orissa State ( Engg. & Medical)-2000. 19.Member, BOS in M.Sc. Computer Science, Sambalpur University, 2002-2004. 20.Member, BOS in M.Sc. Computer Science, G.M. Autonomous College, Sambalpur University, 2001-2003. 21.Member, BOS in BCA, MCA, PGDCA Programme, Directorate of Distance Education, Sambalpur University, 2006-2008. 22.Member, BOS in Information & Communication Technology, Fakir Mohan University, Balasore, 2004-2005. 23.Member, Board of Conducting Examinations in MCA, G.M. Autonomous College, Sambalpur, 2001-2003. 24.Member, Advisory Committee to the MCA and M.Sc (Computer Science) Courses, Sambalpur University, 2005-2007. 25.Member, Academic Committee, G.M. Autonomous College, Sambalpur, 2005-2007. 26.Member, Technical Committee for Implementation of E-Governance at Sambalpur University, 2004-2006. 27.AICTE Expert Member for Degree level and Diploma level Institutions. 28.Subject Expert for Recruitment of Faculty Members in Electrical Engineering, Odisha Public Service Commission (OPSC). 29.Expert Member of Syllabus Committee, Odisha Public Service Commission (OPSC). 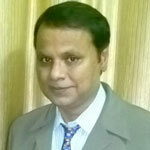 30.Expert Committee Member for selection of faculty members, Biju Patnaik University of Technology.